Thank you, Mr. Chairman, and members of the committee. I am Major General Charles W. Sweeney, United States Air Force, retired. I am the only pilot to have flown on both atomic missions. I flew the instrument plane on the Hiroshima mission, and 3 days later on August 9, 1945 commanded the second atomic mission over Nagasaki. Six days after Nagasaki the Japanese military surrendered and the Second World War came to an end. Fifty years ago millions of my fellow citizens served our country in a time of national crisis — a crisis which engulfed our panel; a crisis in which the forces of fascism were poised to extinguish the democracies of the world. It was a crisis in which the forces of evil were clearly defined, or at least I thought so until last fall when I read the first accounts from the Air Force Association of the proposed script for the exhibit of the Enola Gay at the Smithsonian Institution. 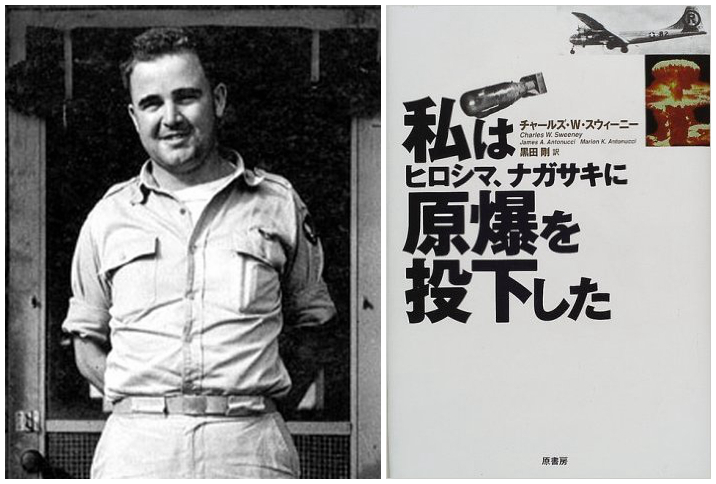 It was obvious to me that the Enola Gay was being used to advance a theory about atomic missions and the United States’ role in World War II that transformed the Japanese into victims and cast the United States as a vengeful aggressor engaged in a war to destroy an ancient culture. My first reaction was, as you can imagine, personal disbelief. I just could not believe that the Smithsonian, an institution whose very name signifies honesty and integrity in the preservation of American artifacts, could be so wrong. Like the overwhelming majority of my generation I did not want a war. We are not a Nation of warriors. There is no warrior class, no master race, no Samurai. Yet during the years when my generation and our parents were struggling through the Great Depression, the Japanese were engaged in the conquest of their neighbors. That is an unfortunate fact of history. Without the slightest remorse or hesitation the Japanese military slaughtered innocent men, women, and children. In the end, they would kill over 20 million of their Asian neighbors. The sneak attack on Pearl Harbor, timed for Sunday morning to inflict the maximum loss of ships and human life, thrust the United States into a war in the Pacific whose outcome then was far from certain. Seventeen hundred sailors are still entombed in the hull of the U.S.S. Arizona that sits on the bottom of Pearl Harbor. Many, if not all, died without ever knowing why. The fall of Corregidor and the resulting treatment of Allied prisoners of war dispelled any remaining doubt about the inhumaneness of the Japanese army even in the context of war. The Japanese military considered surrender a dishonor to one’s self, one’s family, one’s country, and one’s God, and thus they showed no mercy. This was the true nature of the enemy we faced. This was the reality which President Harry Truman confronted as he considered sending yet even more American soldiers, sailors, and airmen into the horror of the war in the Pacific. Declassified transcripts of the secret codes which we had broken during the war and were available to President Truman and his military advisors underscore the Japanese attitude 50 years ago. The transcripts show the Japanese had no intention of surrendering unconditionally. They were stalling for time and fully prepared to continue to sacrifice their own citizens. And as time passed more Americans died. The Japanese military was fully prepared to fight on, even after the Hiroshima mission. In fact, even after the Nagasaki mission, some Japanese military leaders were still advocating fighting on. We know that in a pre-invasion meeting at the White House on June 18, 1945 Admiral William Leahy predicted to President Truman, based on the experience of Iwo Jima and Okinawa, 30 to 35 percent of the 770,000-man invasion force would be killed or wounded in the first 30 days of an invasion of the Japanese mainland. That calculates out to about a quarter of a million American men. President Truman remarked that the invasion would create another Okinawa from one end of Japan to the other; one of the most horrendous battles we ever fought. Now it would be expanded the whole length of Kyushu, the southern island of the four main islands of Japan. The Joint Chiefs of Staff agreed. General MacArthur’s chief surgeon. Brigadier General Guy Dennett, estimated that in the 120-day campaign to invade and occupy only the island of Kyushu, 395,000 casualties would be sustained. For President Truman, for me and for my crew, the probability of so many casualties was not an abstraction but a sobering reality. The world is a better place because German and Japanese fascism failed to conquer. Japan and Germany are better places because we were benevolent in our victory. The youth of Japan and the United States, spared from further needless slaughter, went on to live and have families and grow old. Today millions of people in America and Japan are alive because we ended the war when we did. This is not to celebrate the use of atomic weapons. Quite the contrary. It is my fervent hope that my mission is the last such mission ever flown. But that does not mean that back in 1945, given the events of the war and the recalcitrance of our enemy. President Truman was not obliged to use all the weapons at his disposal to end the war. Now, 50 years later after their defeat, some Japanese officials claim they were the victims, ignoring the clear evidence of their own brutality and mind set. Incredibly, how can any American academic support such a proposition, thus aiding and giving support to a 50-year attempt by the Japanese to rewrite their own history and ours in the process. Such an effort to rewrite history does a disservice to both countries. There is an entire generation of Japanese who do not know the full extent of their country’s conduct during World War II. By forgetting our own history we contribute to Japanese amnesia, to the detriment of both nations. Unlike the Germans who acknowledge their guilt, the Japanese persist in the fiction that they did nothing wrong. That they were the victims of circumstances. This only forecloses any genuine prospect that the deep wounds suffered by both nations can be healed. We must know and remember history. World War II, to denigrate the bravery of our American soldiers, sailors, and airmen and the courage of President Truman. By canceling the proposed exhibit and simply displaying the Enola Gay, has the truth won out? Maybe not. Maybe this exhibit reveals a deeper problem. Imagine taking your children or grandchildren to the original proposed exhibit. Would they learn of the sacrifices their fathers and grandfathers endured in that war in the Pacific so that all of us could be free in 1995, free to visit the Smithsonian or anywhere else we choose? Would they understand the important historical context which led the President of the United States to make the decision to end that brutal conflict using all the weapons at his disposal? I think not. In the end, what would our children and grandchildren think that their country stood for? In trying to understand the reason why the Smithsonian did this I certainly do not get any clue from the stated reason the director gave for canceling the proposed exhibit. As I recall, he said the Smithsonian realized that it had been too ambitious by combining a highly emotional commemorative event for veterans with an historical analysis. This reason is at best condescending to the veterans. I suggest that the forces behind the revisionism of our history at the Smithsonian were flat out wrong in their analysis, and they should have said so. The soul of a nation, its essence, is its history. It is that collective memory which defines what each generation thinks and believes about itself and its country. For this reason the facts must always be preserved. This does not mean debate should be stifled. It does mean that any debate must be founded upon a recognition of all the facts. At the Smithsonian there was an absence of some rather basic facts and a conclusion which was unsupported by those basic facts. My fellow veterans and I were impelled to ask how could the Smithsonian have been so terribly wrong about the true nature and meaning of the war in the Pacific and the atomic missions? Fortunately, this threat to our national identity was aired out in the open because the proposed exhibit of the Enola Gay was so devoid of factual support. Other historic events may be too subtle to be seen as clearly. Certainly the country was fortunate that millions of veterans of the war, and citizens of the United States who are not necessarily veterans, were still alive to report on what really happened. I might point to one specific class of Americans, and they are the ones whose husbands, sons, loved ones were poised to conduct, to participate in that invasion. So I come before this committee to ask you as Members of Congress to do all in your power to protect and preserve the integrity of the process by which our national identity is formed and debated. Our history is a precious asset. In a free society such as ours there must always be an ongoing debate about who we are and what we stand for. The key question, however, is what role is appropriate for the Smithsonian in this ongoing debate and what process is to be employed in making decisions about historic interpretation at the Smithsonian? Of course, this assumes that the Smithsonian should expand its role beyond the preservation and exhibition of significant American artifacts — American artifacts. The fact that you are holding these hearings is an encouraging sign for many Americans that such an inquiry will prevent future attempts to revise, rewrite, or slant our historical record in any way by any Government-supported agency. I would like to ask this committee to help the American people understand how the decisions as to what history the Smithsonian will display are made. Are these decisions based on ideology or some agenda, or are they the product of careful review and presentation of historical facts? The issue is not that a group of pesky, aging veterans raised questions about a proposed exhibit. The issue is one of trust. Can the American people trust the Smithsonian ever again to be objective and unencumbered by ideology? This is an important debate and I thank this committee for holding these hearings. As the only pilot to have flown both missions, and having commanded the Nagasaki mission, I bring to this debate my own eyewitness account of the times. I underscore what I believe are irrefutable facts, with full knowledge that some opinion makers may cavalierly dismiss them because they are so obvious — be- cause they interfere with their preconceived version of the truth, and the meaning which they strive to impose on the missions. While our country was struggling through the great depression, the Japanese were embarking on the conquest of its neighbors — the Greater East Asia Co-Pros-perity Sphere. It seems fascism always seeks some innocuous slogan to cover the most hideous plans. The fall of Corregidor and the resulting treatment of Allied prisoners of war dispelled any remaining doubt about the inhumaneness of the Japanese Army, even in the context of war. The Bataan Death March was horror in its fullest dimension. The Japanese considered surrender to be dishonorable to oneself, one’s family, one’s country and one’s god. They showed no mercy. Seven thou- sand American and Filipino POW’s were beaten, shot, bayonetted or left to die of disease or exhaustion. President Truman understood these facts as did every service man and woman. Casualties were not some abstraction, but a sobering reality. Did the atomic missions end the war? Yes . . . they . . . did. Japanese are now the victims. America was the insatiable, vindictive aggressor seeking revenge and conquest. Our use of these weapons was the unjustified and immoral starting point for the nuclear age with all of its horrors. Of course, to support such distortion, one must conveniently ignore the real facts or fabricate new realities to fit the theories. It is no less egregious than those who today deny the Holocaust occurred. Some point to statements by General Eisenhower years after the war that Japan was about to fall. Well, based on that same outlook Eisenhower seriously under- estimated Germany’s will to fight on and concluded in December, 1944 that Germany no longer had the capability to wage offensive war. The Japanese had their fate in their own hands, we did not. Hundreds of thousands of American troops anxiously waited at staging areas in the Pacific dreading the coming invasion, their fate resting on what the Japanese would do next. The Japanese could have ended it at any time. They chose to wait. And, believe it or not, there are actually some American academics who sup- port this analogy, thus aiding and giving comfort to a 50-year attempt by the Japanese to rewrite their own history, and ours in the process. Japanese amnesia, to the detriment of both our nations. The Japanese in a well-orchestrated political and public relations campaign have now proposed that the use of the term “V-J Day” be replaced by the more benign “Victory in the Pacific Day”. How convenient. One, on the original target list for the atomic missions Kyoto was included. Although this would have been a legitimate target, one that had not been bombed previously. Secretary of State Henry Stimson removed it from the list because it was the ancient capital of Japan and was also the religious center of Japanese culture. I do not revel in the idea that so many on both sides died, not only at those two places but around the world in that horrible conflict. I take no pride or pleasure in the brutality of war whether suffered by my people or those of another nation. Japanese war lords who so willingly offered up their people to achieve their visions of greatness. They who started the war and then stubbornly refused to stop it must be called to account. Don’t they have the ultimate responsibility for all the deaths of their countrymen? Germans. The science was there. Eventually someone would have developed this weapon. Science can never be denied. It finds a way to self-fulfillment. 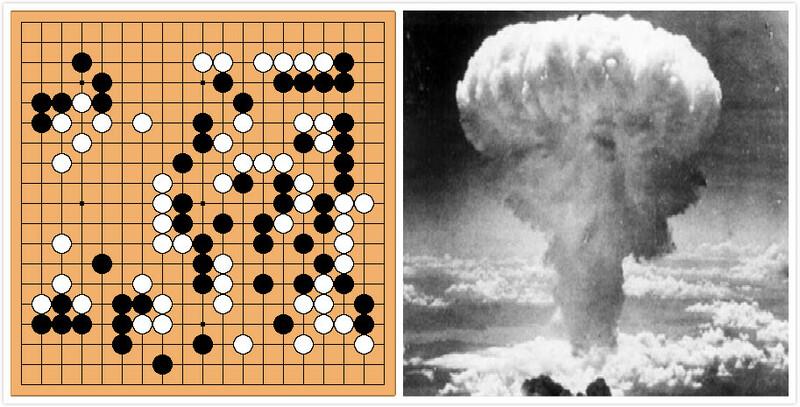 Despite the chaotic and exhausting war, the game of Go had continued in Japan in a reduced form. In May 1945, the building of Japanese Go Association (Nihon Ki-in) was burned down to the ground along with the rest of Tokyo during the Allies’ air raid. The Honinbo tournament, the oldest and the only existing tournament was therefore rescheduled in Hiroshima. The 3rd Honinbo Tournament was held between the owner of Honinbo title, Hashimoto Utaro, and the challenger, Iwamoto Kaoru. The game 1 had been played from July 23 to 25 in the downtown Hiroshima. But the game 2 was moved to the suburb area after the match place being machine-gunned by American aircraft. The atomic bomb was dropped at 8:15 on August 6, the third day of game 2. The game site was about 3 miles from ground zero. The shockwaves from the explosion struck the building, shattered the windows, and overturned the board. Hashimoto was blown out of the room but received only minor injuries. Though terrified, the players cleaned up the room, picked up stones, relaid the board position, and continued the game. The game was played to a conclusion at noon, with Hashimoto holding white winning by five points. This tied the match 1-1. The war was over when the match was resumed. Despite the critical shortage of food, Hashimoto and Iwamoto played four games in consecutive days from Novemeber 11 to 24, ending in a 3-3 draw. A three-game playoff was held in August 1946. Iwamoto won two straight games and successfully claimed the Honinbo title. Tortured by poor health, Segoe Senkaku, the referee of the Atomic Bomb Game, committed suicide in 1972 at the age of 83. However, Hashimoto lived to 87 and even more impressively, Iwamoto made it to 97. The war of twenty months’ duration is now a thing of the past, and our United Squadron, having completed its function, is to be herewith dispersed. But our duties as naval men are not at all lightened for that reason. To preserve in perpetuity the fruits of this war; to promote to an ever greater height of prosperity the fortunes of the country, the navy, which, irrespective of peace or war, has to stand between the Empire and shock from abroad, must always maintain its strength at sea and must be prepared to meet emergency. This strength does not consist solely in ships and armament; it consist also in immaterial ability to utilize such agents. When we understand that one gun which scores a hundred per cent. of hits is a match for a hundred of the enemy’s guns each of which scores only one per cent. it becomes evident that we sailors must have recourse before everything to the strength which is over and above externals. The triumphs recently won by our Navy are largely to be attributed to the habitual training which enable us to garner the fruits of the fighting. If then we infer the future from the past, we recognize that though war may ceases we can not abandon ourselves to ease and rest. A soldier’s whole life is one continuous and unseasing battle, and there is no reason why his responsibilities should vary with the state of the times. In days of crisis he has to display his strength; in days of peace to accumulate it, thus perpetually and uniquely discharging his duties to the full. It was no light task that during the past year and a half we fought with wind and waves, encountered heat and cold, and kept the sea while frequently engaging a stubborn enemy in a death or life struggle; yet, when we reflect, this is seen to have been only one in a long series of general maneuvers, wherein we had the happiness to make some discoveries; happiness which throws into comparative insignificance the hardships of war. If men calling themselves sailors grasp at the pleasure of peace, they will learn the lesson that however fine in appearance their engines of war, these, like a house built on the sand, will fall at the first approach of the storm. From the day when in ancient times we conquered Korea, that country remained for over 400 years under our control, to be lost immediately as soon as our navy declined. 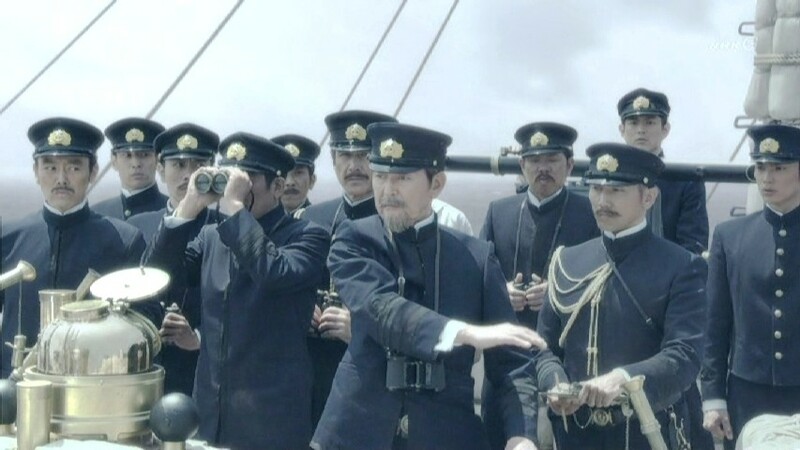 Again when under the sway of the Tokugawa in modern days our armaments were neglected, the coming of a few American ships threw us into distress, and we were unable to offer any resistance to attempts against the Kuriles and Saghalien. On the other hand, if we turn to the annals of the Occident, we see that at the beginning of the 19th century the British Navy which won the battles of the Nile and of Trafalgar, not only made England as secure as a great mountain but also by thenceforth carefully maintaining its strength and keeping it on a level with the world’s progress, has throughout the long interval between that era and the present day safe-guarded the country’s interests and promoted its fortunes. For such lessons, whether ancient or modern, Occidental or Oriental, though to some extent they are the outcome of political happenings, must be regarded as in the main the natural result of whether the soldier remembers war in the day of peace. We naval men who have survived the war must take these examples deeply to heart, and adding to the training which we have already received our actual experiences in the war, must plan future developments and seek not to fall behind the progress of the time. Was chosen one day for the Imperial household. Beauties of Six Palaces vanished into nothing. Flowered curtains protected on cool spring evenings. Those nights were too short. That sun too quick in rising. Li Palace rose high in the clouds. Songs and graceful dances, string and pipe music. He could never stop himself from gazing at her. Drown out ‘The Feathered Coat and Rainbow Skirt’. Are bathed in dust – the army fleeing Southwards. Until horses’ hooves trampled willow eyebrows. Flower on a hairpin. No one to save it. Gold and jade phoenix. No one retrieved it. Covering his face the Emperor rode on. Hidden by a yellow dust whirled by a cold wind. His majesty’s love remained, deeper than the new. White moon of loneliness, cold moon of exile. Bell-chimes in evening rain were bronze-edged heartbeats. To leave that place of memories and heartbreak. Where is the white jade in heaven and earth’s turning? How could it not be grief just to see them? Maple trees ruined in rains of autumn. Mounds of red leaves spilled on unswept stairways. Colder and emptier, year by year. And the loved spirit never returning. He with his powerful mind knew how to reach the Spirits. Asked the Taoist priest if he might find her. But failed in either to find the one he searched for. With her face, of flowers and of snow. Her light cap unpinned, ran along the pavement. As if she danced ‘Feathered Coat and Rainbow Skirt’. Like a spray of pear flowers, veiled with springtime rain. He whose form and voice she lost at parting. Moons and dawns were long in Faerie Palace. And see Chang’an – only mist and dust-clouds. Breaking the lacquer, splitting the gold. Oh, sorrow! oh, ye Qins, ye Hans, ye dynasties now passed away! I have heard that when the Qis and the Weis* gathered at the frontier, and when the Jings and the Hans** collected their levies, many were the weary leagues they trod, many were the years of privation and exposure they endured. Grazing their horses by day, fording the river by night, the endless earth beneath, the boundless sky above, they knew not the day of their return; their bodies all the time exposed to the pitiless steel, with many other unspeakable woes. Again, since the Qin and the Han dynasties, countless troubles have occurred within the boundaries of the empire, desolating the Middle Kingdom. No age has been free from these. In the olden days, barbarians and Chinese alike meekly followed their Imperial guide. But the place of right was usurped by might; the rude soldier cast aside the obligations of morality, and the rule of reason lost its sway. Alas! methinks I see them now, the bitter wind enveloping them in dust, the Tartar warriors in ambuscade. Our general makes light of the foe. He would give battle upon the very threshold of his camp. Banners wave over the plain; the river closes-in the battle array. All is order, though hearts may beat. Discipline is everything: life is of no account. No sound of bird now breaks from the hushed hillside. All is still, save the wind whistling through the long night. Ghosts of the dead wander hither and thither in the gloom: spirits from the nether world collect under the dark clouds. The sun rises and shines coldly over the trampled grass, while the fading moon still twinkles upon the frost-flakes scattered around. What sight more horrible than this! 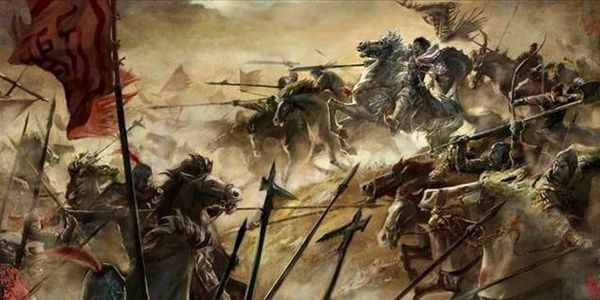 I have heard that Li Mu led the soldiers of Zhao to victory over their Tartar foes, clearing the country for miles, and utterly routing the Huns. The Hans, on the other hand, exhausted in vain the resources of the empire. They had not the man, and their numbers availed them naught. The Zhous, too, drove back the barbarous hordes of the north; and having garrisoned the country, returned safely home. Then they offered thanks to the Gods, and gave themselves up to the universal enjoyment which peace alone can bring. The Qins built the Great Wall, stretching far away to the sea. Yet the poison-breath of war decimated the people, and mile upon mile ran with their red blood. The Hans beat down the Xiongnu, and seized Mount. Yin-shan. But their corpses lay pillowed over the plain, and the gain was not equal to the loss. O high Heaven! which of these but has father and mother, who bore them about in childhood, fearing only lest maturity should never come? Which of these but has brothers, dear to them as themselves? Which of these but has a wife, bound by the closest ties? They owe no thanks for life, for what have they done to deserve death? They may be alive or dead the family knows it not. And if one brings the news, they listen, half doubting, half believing, while the heart overflows with grief. Sleeping and waking, they seem to see the lost one’s form. Sacrifices are made ready and libations poured, with tearful eyes strained towards the far horizon; heaven and earth, nay, the very trees and plants, all seeming to sympathize with their sorrow. And when, in response to prayers and libations, these wanderers return not, where shall their spirits find repose? Verily there shall be a famine over the land, and the people be scattered abroad. Alas! such is life, and such it has ever been. What resource then is left but to keep within our frontier lines? 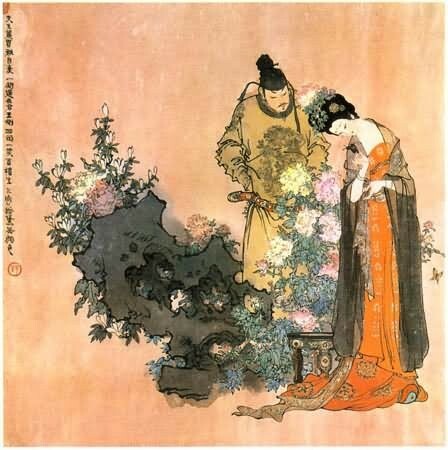 *Qi (齐) and Wei (魏) are major states of Eastern and Central China during the Zhou Dynasty. **Jing (荆), commonly known as Chu (楚), was a state in the Yangtze Valley during the Zhou Dynasty; Han (韩) was a minor state during the Western Zhou Dynasty.